…Feeling awkward. Are they judging me? I know it’s a Tuesday night, but I blog for a living for crying out loud! Whatever. They probably wouldn’t even understand my lifestyle. This guy’s story ends differently though. 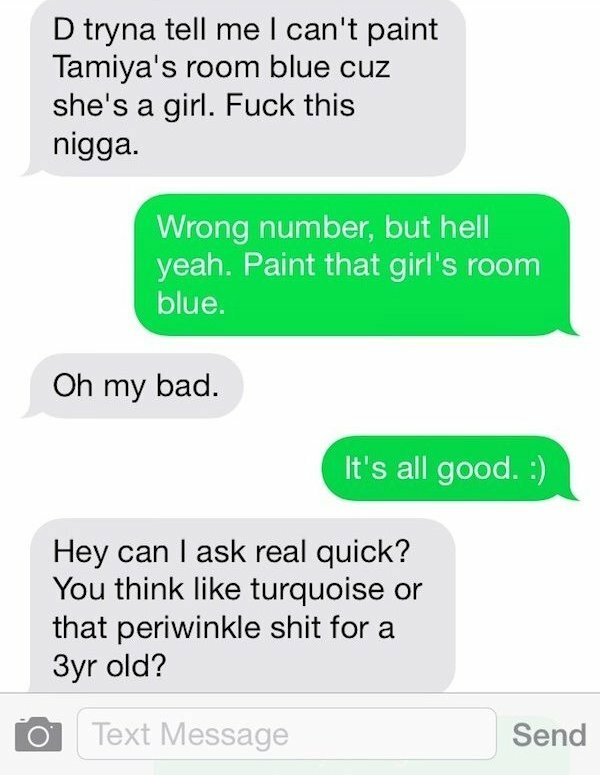 He was stressed out about painting his daughter’s room when he text the wrong number. Instead of ending it there, they actually gave him some pretty good advice. 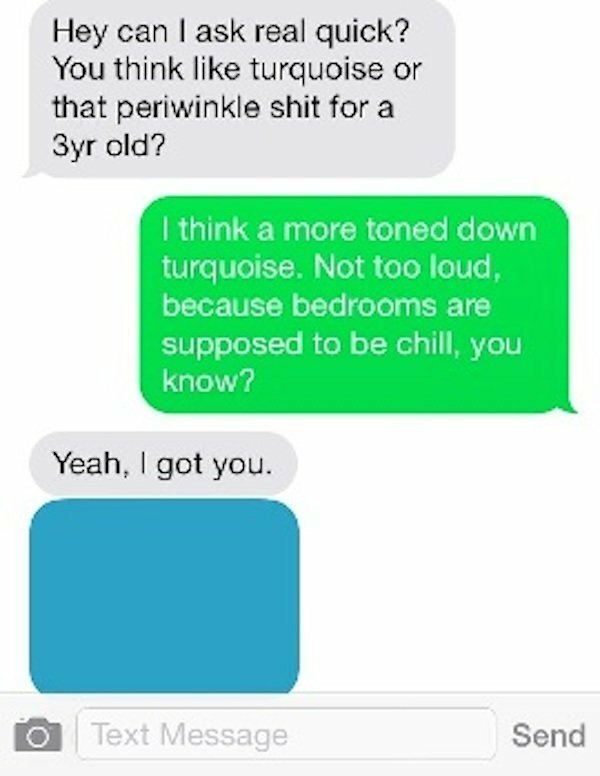 Who is this “D” person and why are they trying to dictate what colors are for girls? 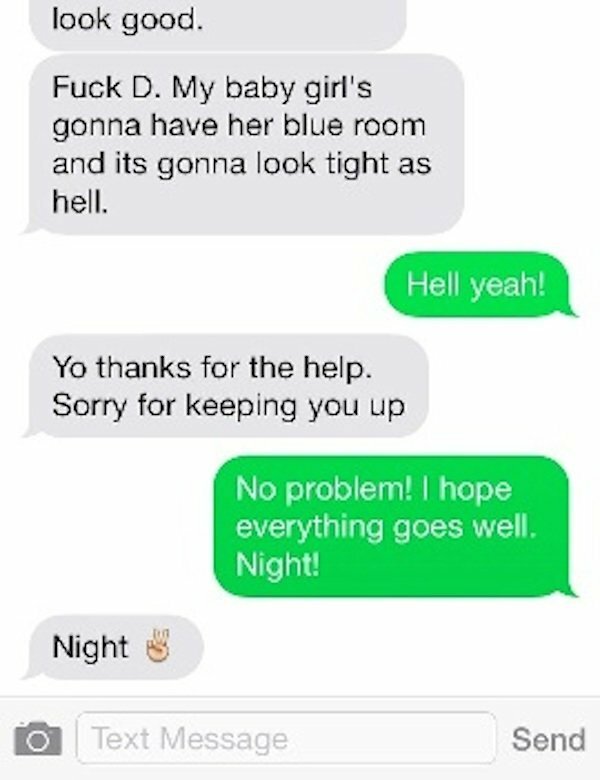 Hello, girls love blue. Instantly, a bond is formed. 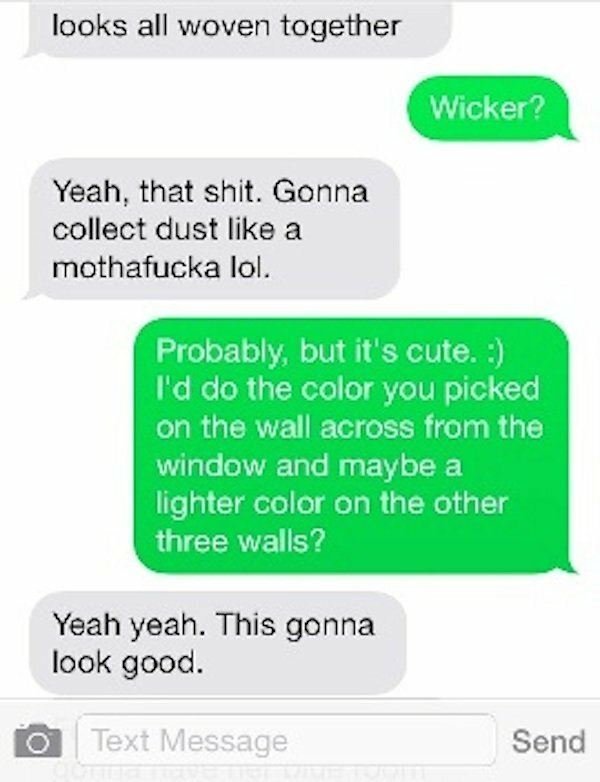 Whoa…is this person an interior designer? This room is going to be awesome. 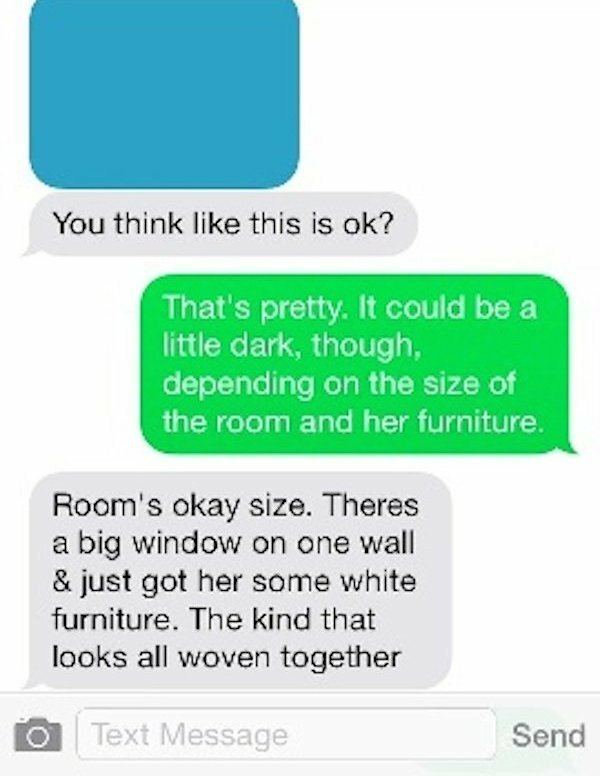 May this be a reminder to anyone who has ever received someone else’s text; it’s okay to respond! You might just make someone’s day.